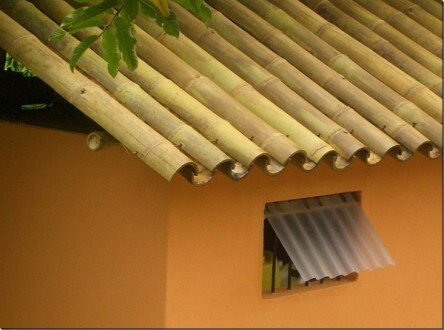 Shelter Hacks – Superior Waterproof Roofs! A quick, easy (and logical) roof solution that I do not recall seeing done on previous seasons of Survivor. 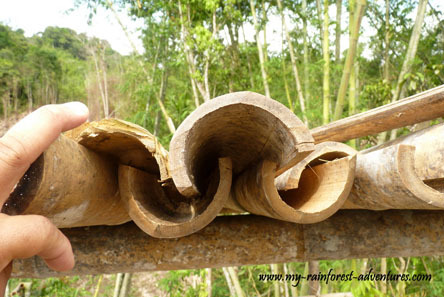 Simply split the bamboo lengthwise, remove the interior notches, and overlap the pieces creating a superior roof! Seems fairly simple and it looks like it would provide pretty good shelter from the rain. Categories: Survival Preperation | Tags: cbs survivor, Jeff Probst, Lynne Spillman, Shelter, Survivor Preperation, Survivor Super Fan | Permalink.